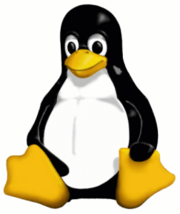 Linux is a Unix-based open source operating system that is free to install and use and has many features. Redhat: Commercial distro often used by businesses. Not available free. Dual booting: If you want to setup dual boot with Windows, install Windows first, then install Linux. Most distros include a bootloader such as Grub which will allow you to dual boot. You can access a Linux computer using TightVNC (which is installed as standard with Fedora and Ubuntu). Install a TightVNC client on your Windows computer then use this to connect to the Linux computer using its IP address or system name. Getting CDs or DVDs: These are often available free with computer magazines, or you can download CD images from the Intenet then burn them onto CDs. Some distros (such as Ubuntu) will mail you a CD if you place an order over the Internet. Accessing Linux network share from a Windows computer. You must first specify the share in Linux. It should be noted that the user added as username has to exist as a Linux user as well. Linus Torvalds, the creator of Linux, has stated that Linux is able to boast genuine green credentials, after years of hard work. He and fellow programmers modified almost every part of the operating system's core to improve power management. They also enhanced the ability to track down the most power-hungry parts of a hardware and software system. "Everybody wants to be power-aware," he said. "It's not just that you want to be green - it's eating up your batteries." This page was last modified 14:39, 5 August 2010.